A couple months ago, United asked me if I’d be interested in coming down to Houston to do a day of flight attendant training. As you can imagine, I jumped at the chance. What United arranged was a day of International Service Training, and it was a fascinating look at how the airline prepares its flight attendants to do battle with serve its customers. International Service Training is a single-day course that’s given to all new hires and any current flight attendants that haven’t flown internationally in at least 2 years. The goal is to teach flight attendants what they need to know to work a long haul international trip. The focus is almost entirely on the premium cabin with most of the training centering around the meal service. Today I’m going to walk through my impressions of the day. Tomorrow I’ll zero in on the details of the meal service. If you think being a flight attendant is glamorous, that’s certainly not the vibe being put off by United’s primary flight attendant training facility. The squat, decades-old building is a nondescript former catering facility that sits east of the terminal area at Houston/Intercontinental airport. Before the merger, this was where Continental trained its flight attendants. Today, it continues in that role for United’s new hires. It also serves as the location for Houston-based flight attendants to get their annual 2-day recurrent training, or as United calls it, continuing qualification (CQ). When I walked into the building around 8:30 in the morning, it was a hub of activity. Flight attendant training ebbs and flows with the fortune of the airline, and right now, it is at a high point with classes of 35 to 50 people starting weekly. New hires come here to spend six days a week for five straight weeks in training. When they aren’t training, they’re studying for the next exam. It’s an intense five weeks, but surprisingly there’s only an 8 percent attrition rate. When I arrived, flight attendant class 1521 was getting toward the end of its fourth week in training. United and Continental flight attendants are still operating as two separate workgroups, and there’s been an imbalance in needs. While the Continental subsidiary (or sCO, as it’s styled) has been hiring, sUA hasn’t. In fact, class 1521 holds the distinction of being the first sUA flight attendant class in 7 years. The class is split in two for some of the more intimate training sessions, and half the class was going through International Service Training that day. I and two others would join them. Walking into a small room, I was surprised to see several rows of old school Continental BusinessFirst seats lined up in a 2-2-2 configuration. These seats have long been gone from the fleet, but they still live on as service trainers. Training is really split into two big chunks. There’s the safety side and the service side. Today was a service day. Most of the seats were filled, but they had held a couple back for us interlopers. I took my place in the first row on the outside aisle on the right side. There appeared to be an army of trainers to help get the class through the day. To start, these future flight attendants had to go through an appearance check. They wouldn’t even get their final fittings for their uniforms until the next day, but they still had to be dressed appropriately in their own clothes. The rules are mind-numbingly specific. Woman can have one necklace, one bracelet, two rings per hand, and earrings can’t be larger than a dime. Shoes have to be clean, neat, and polished. Visible tattoos are not allowed. A watch is required. If hair is longer than shoulder length, it must be pulled back in a way where it won’t fall forward. The few men in the class have similarly strict rules. During the appearance check, as you can see in the 23 second video above, a trainer closely inspects each trainee. Nobody fails, as you’d expect in a group that’s nearly 80 percent finished with training. I, however, would have failed. My wrist was watch-free (and that very well may have been the least of my violations). Kristi Lacafta, a Texas native with a bit of a drawl, stepped up to the front to kick things off. The first hour was spent going through Powerpoint slides as part of the introduction. As the slides continued on, training alternated between big picture and tiny detail. On one hand, the flight attendants were told to freshen up regularly because on international travel, they not only represented the brand but the United States. On the other hand, there was excruciating detail on exactly how to position the name tag on the uniform. The uniform itself is a complex thing. There are choices, at least for women, on whether to wear pants, skirts, or dresses. Formality rules the day. If they aren’t wearing pants, they have to wear pantyhose. There are even rules about when they can wear which parts of the uniform. After takeoff through the meal, for example, they have to wear their serving garments. Some flight attendants even bring different shoes to wear on the ground versus in the air. The details were mind-numbing. Of course, each flight attendant has plenty of reference material to help keep it all straight. The days of paper manuals are long gone. These days, United flight attendants are handed a programmed iPhone 6 Plus during training. The airline calls it a “Link” and it’s loaded up with all the info any flight attendant could need. They just have to figure out where everything is in the first place. Michelle was from a tiny Texas town near the Louisiana border, and she had actually applied to American before. But in her first interview she was nervous and knew she wasn’t getting called back. It was only in May when the opportunity to apply to United came up. She jumped on it, going through the video interview where she had to film herself answering pre-recorded questions. This time she had no trouble and a mere two months later, we were sitting next to each other. For our next session, Cheryl Waldrop stepped to the front. Cheryl seemed to be born to train. In fact, she starred in at least one of the training videos we watched during the day. She started in the late 1990s with United and had barely avoided being furlough after 9/11. She seemed like the kind of flight attendant who could give perfect service, but she could also be very firm. I wouldn’t want to cross her. The bulk of this session was actually spent on wine. More people drink wine internationally than anything else, save for water. A video was shown to demonstrate how to open a bottle of wine. (Seriously.) Then we were told about which types of wines are served on which flights. This went on for a surprising amount of time. After wine, we moved into a chronological flow. We learned about pre-departure beverages and how on international flights, there are special carts for those meant to be used on the ground vs in the air (it’s a taxation thing). Then we went into menus and found a little bit of chivalry hidden inside. If a man and a woman are sitting together, you always hand the menu to the woman first. This is the case for taking orders and serving food as well. After a short break, it was time to start the actual meal service. I’ll get into detail about that three-hour experience tomorrow. You’d think that after spending hours eating, it might be time for something that involved a little physical activity, but you’d be wrong. The flight attendants settled in for an hour talking about required documentation when they travel. I’m not kidding. If any one of them stayed awake, I’d be amazed, but we ducked out to do something else. We were taken on a tour around the building, looking at the various evacuation testing facilities including an actual 737 fuselage. There are several doors for different aircraft so flight attendants could practice opening them. (Most were being used for exams while we were there.) Then we got to play with life jackets. When we got back, the group had moved on to the multicultural awareness session. For a global airline, this was surprisingly incomplete. It only touched on five countries, in fact, with Japan leading the way followed by China, Israel, India, and Nigeria. That was it. The last session of the day was dedicated to international economy. Would it surprise you if I told you this took about half an hour? To be fair, the reality is that international economy service isn’t much different from domestic service. So there weren’t too many differences to highlight in this particular class. The main focus was on the meal service itself. In the end, it all went by with a blur. I could only imagine how overwhelmed each trainee must feel after days upon days of learning. I quite frankly can’t imagine anyone retaining this information, but flight attendants simply have to re-learn it once in the air. Only then they have to battle turbulence and angry passengers. It was fascinating to see just how much attention is paid to process here. There was more focus on process than actual customer service. With talk about how flight attendants “represent the brand,” I wanted to know what the United brand stood for. I was told they teach that on another day. As I headed to the terminal for my flight home, I couldn’t help but think just how bad I’d be at this job. The process part was easy. I’m confident I could perform the duties as taught. But trying to do that with a bunch of angry passengers while the plane bounces around in turbulence? Oh hell no. Going through a day of training does make you realize how much more goes into a flight attendant’s job than a casual observer might imagine. And it’s precisely that volume that makes me wonder if five weeks is enough. Then again, you could train a flight attendant for a year and likely never prepare them for all the insanity they’ll encounter during their years of flying the not-always-so friendly skies. 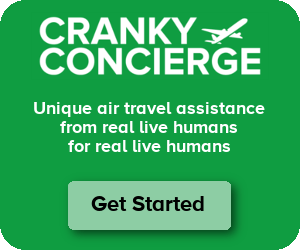 Hey cranky does united pay its flight attendants during training? Olamide – The airline tells me that they get a weekly stipend while they’re in training, but I don’t know more than that. Of course, United provides hotel and meals as well. With only one day off a week, there probably isn’t much time to spend money anyway. i am always impressed with how much training and knowledge flight attendants have to keep up with. It is unfortunate that we passengers don’t realize the work that they put in to make such a stress full job look so easy thanks for sharing this. Singapore Airlines had an open house last weekend – opened up their crew training center to the public. It was very enjoyable and eye opening. The kids loved it, of course – the giant slides/rates were amazing. Didn’t realize they are so huge but fit nearly into that little bump in the doors. Kids enjoyed the simulator as well, though they’ve been in a real cockpit before. The cabin crew grooming was pretty intensive and we got knowledgeable in what it takes to be a “Singapore Girl “?? I want a pair of those old F seats. You get invited to some interesting things as part of this blog. Sounds like the airlines should invite more joe/jane public into their FA training so the average flier can appreciate the job they do a bit more. Learned early in my career to never assume any job is easy. More often than not you couldn’t do it well. Funny that you used “mind-numbing” twice in a rather short piece and, I am guessing that were it not for your internal self-editor, you probably could have used it a dozen more times! I know this was a very small sample size of FA training so it’s best to not draw too many conclusions but it seems like there is an expectation that adherence to these myriad processes and procedures will yield excellent customer service, an expectation which seems flawed at best. I thought the same thing. I get the idea of uniformity and compliance, but jeez. I look for a cabin crew to be thoughtful, attentive, and courteous — which requires a training of values versus rules. Number of bracelets? Don’t care. If people (Cranky or anyone else) is interested, the BBC has had a good documentary on British Airways’ operations, and much of the first few episodes focus on flight attendant training. Later episodes include pilot training, maintenance and other aspects. After watching it, it seems that the BA training is much stricter and more formal, although having never flown BA I couldn’t say that it is a better or worse approach. Being more rigorous would seem to be important on the safety issues and FAA requirements (or whatever the analogous UK requirements are), although of course we don’t know what UA’s safety training is like. Why are they required to wear a watch? It has to do with White Sands. When I went through a ground school in New Mexico to get ready for my college course. The instructor pulled up an old NOTAM which basically said WSMR was doing a GPS jamming test and your GPS might get jammed. Sitting in those seats can’t be good for learning since it’s not easy to see over the tops of the seats and you need to keep you head held high to see over them which wouldn’t be comfortable after awhile. Printed material is better then material on a iAnything when learning since it can be easier for students to find, sort, hi-lite, makes notes on, etc. Maybe United needs to be trained on how to train. I actually don’t let my trainees @ our airline use a manual. I make them write it as we go along, using a projector. I wondered about the watch too, but it sort of makes sense – besides being useful on the plane, there a lot of airports where it seems the tiny time readout in the corner of the FIDS screens is the only place in the terminal where you can find out what time it is if you don’t have a smartphone handy. At least in the US, very few airports seem to have nice big clocks anymore. I was surprised at the lack of training on cultural differences, although it could just be that this was meant to be an introduction to the subject using those five countries as examples, and is followed up with more specific briefings later when FAs first fly specific routes. At least I’d hope so, having (more than once) seen German businessmen have shouty meltdowns once over being addressed as “Sir” rather than “Herr Doktor. And isn’t the time displayed on the FIDS monitors usually about five minutes fast? On purpose, of course, so all the Kettles won’t dawdle and miss their flights. I was surprised to see that there is STILL an official internal Continental / United distinction. That can’t be healthy. I can’t believe that it’s been almost 5 years since the merger and they haven’t been able to merge the FAs. DL/NW was able to do it and one was union and the other was non-union. You would think it would be easier to merge two unionized groups. Watch es a re one of several ‘accoutable items’ That have to be on a fligh t attend,ants person from the start to the end of a duty period. At briefing, the IFS/purser/lead should make sure all the crew members have one and that their times are synchronized. If the flight deck says they want everyone seated due to wx in say, 10 minutes, the working crew has a synchronized timepiece. Worse case scenario would be a planned emergency where the crew has X number of minutes to prepare the cabin for an emergency landing. I wonder if the building was acquired from Texas International. TI had their reservations center at IAH and other departments remained at HOU. Looks like class 1521 graduated this past Friday. According to the linked blurb the new FAs will be domiciled at JFK. And when UA closes JFK to shift to EWR then what? That shows a bit of snobbishness on your part. I would have appreciated that video as part of my training, because I don’t know how to open a bottle of wine. Do they explain how making passengers bring their charis to the full upright position makes the plane safer? bon_jovi – That actually does make you safer. The whole point of bringing the seat back up is to make evacuation easier in case something goes wrong. Every second counts. Thank you for pointing this out, CF. Believe it or not, there is a rhyme and reason to everything we do. It’s nice to know there are people who do understand that! As a former Pan Am flight attendant and purser who also worked in flight attendant selection and training, as well as cabin safety, I found this post fascinating. Because all of our flying was international, all of our flight attendant training concerned international flying. Being aware of and respecting cultural differences was integrated into every aspect of our training. From what you report, that and every other part of Pan Am’s training was very different in tone and substance from United’s international service training; it seems that the only characteristic they share is being very challenging. How about posts on United’s flight attendant safety training and purser training? Leslie in Oregon – Oh if only I could have been a fly on the wall during a day of Pan American flight attendant training. I can only imagine it was a completely different world. How long was initial training? Do you recall? I bet it was a fair bit longer. While I’d love to report back on other types of training, this was the only thing I was invited to attend. Maybe in the future I’ll be able to sit with other airlines for different types of training. I was an United international Purser for 15 years . A great article but no where near does it cover all required to become an international flight attendant and for sure not all required to be an international.Purseer, Much training must now be covered via a home computer. To just be trained for an international use to require a week, then to be a Purser another week “all oral testing” with only about 2/3 passing. United hired outside special trainers to teach Purser training!! Very in depth & so much more than the article covered! Could not believe the Culture Awarness training was not mentioned a very important part to work flights into other Countries. One has to train what is correct in the country the crew is flying into. Very big part correct documentation is not an easy item to learn without detail information. Emergencies over Ocean also in depth, but article, while not complete does see the stress & the total knowledge required to fly international! Also just to be selected & make to be a domestic flight attendant requires much intelligence! It is NOT a waitress job!!! In my abov comment I failed to mention initial training to become a flight is based on how many different A/C one has to become familiar with working. In the 90’s UAL required 7 1/2 weeks of 6 days per week drop below grade of 90 on any test no retakes one is out! Test Monday Thru Friday of entire 7 1/2 weeks then on Saturday fly with a crew “as a trainee” then flight last week of training working first class with full service coast to coast with a trainer in first class grading your performance. One full week is hands on Safety must pass all written test grade of 90 or higher. Be able to evacuate from one door orally!! 90 seconds for flight attendants to evacuate an plane full of passengers! So much to just earn wings then 6 months of probation with spy rides before one can know they are now a flight attendant All of the above plus staying in perfect personal looks. Yes makeup, braclett, rights size earrings, Perfect smile! watch “Required time must be known in order to complete service” Very difficult to graduate. Just to be accepted to attend training? So many are turned down. 100’s show up for an interview at one interview group!! If lucky maybe 5 will make it to a second interview then an in depth physical ,, Any mistake alone the many months & out one goes! Free ticket home where one has already given up their prior job! Harder to become a flight Attendant than to get into Harvard, Why? So, so, many grow up wanting the position without a clue of how difficult to make it all the way thru! Tremendous stress!! But those that succeed? Usually keep the job for all their working career! So many Passengers think flight attendant are there to make for the passengers a fun flight???? That is extra!!!! !Per FAA flight attendants are for passengers SAFETY, Flight Attendants are drilled in Safety first!!!! Must be a flight attendant for ever 50 pax. On any flight! Very hard to be chosen then make it thru very strict training’ Next time you fly know that Flight Attendant is very qualified in saving your life, smiling & offering you a beverage is the easy part! They are chosen over many & are highly trained, true Professionals,,, now pay attention during the safety demonstration! That flight just might be the one that has an emergency!!! !yes that flight attendant can save your life!!!! 1000 that apply never are even given the chance to attend training & then make it thru? Not Easy. So well qualified in Safety service. Many international medical emerjencies often out over an Ocean! Ya then a flight attendant is suddenly a passengers best friend!!! Sit back & enjoy your flight!!!!!! They are well qualified not just someone to make your trip enjoyable that is just a small part of bring a professional flight attendant!!!!! Keeping passengers safe number one requirement to being a flight attendant!!!!! Interesting comments, thank you for sharing. I do however disagree with you that getting job to be a flight attendant is more difficult than getting into Harvard. The requirements to become a flight attendant are pretty basic. Must have a HS diploma, college is helpful, but not required. Must meet a certain height standard, taller than X, shorter than y, able to reach z. Other language is helpful but not required. Must be able to lift, twist, and turn while doing the same lifting. Must be personable and customer focused (hard to measure). To get into any A level school (which includes Harvard) and most universities, the applicant needs a steady history of superior performance, measured by grades and GPA for a 4-year High School period. Must have outstanding SAT scores and must have strong community service background, with strong letters of recommendation. Only the very best students are going to spend the time and money (yes it costs money to apply to college) to submit an application to these A level schools. Flight attendants perform an important service, but not at the level of any medical professional, such as a nurse, EMT, doctor or any one of a number of specialities. Flight attendants have no advanced training to deal with medical emergencies except CPR, and locating a doctor on the flight. Flight attendants probably handle the emergency well, reallocating work and calling a hospital, but they are not allowed to administer any medication or drugs to an ill customer. Sorry, I think training to become a flight attendant is probably strenuous, but not at the same level as anyone graduating from college, any college. I would have found such an opportunity to attend such a class interesting. I was surprised as to how much detail was given to the training. But like you said, nothing could prepare them to deal with irate passengers. I do not know that I would be able to make it as a flight attendant. I never thought of it as a glamorous job. Interesting that wifi is unavailable over Southern New Mexico. Some of you people need to learn what a paragraph is. It’s Not a 20,000 line sentence! Where did you all lodge when training in HOU, with United? I was there for the day and didn’t stay there. The actual flight attendant trainees were put up in local hotels though they wouldn’t tell me which one. Approximately how long did you wait after being hired in the in-person interview to starting training in Houston? I’ve heard recent new hires been given a time frame of sometime in the next five months, is it possible to find out something more specific?